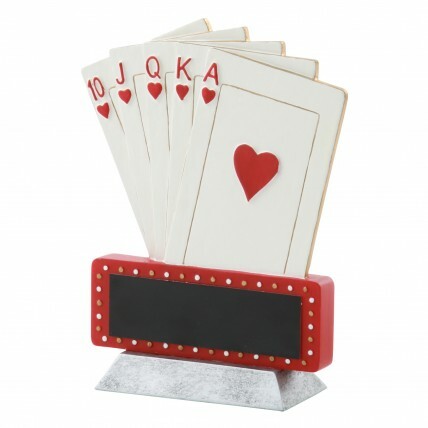 The player with the best hand wins the pot and this Chip Champion "Best Hand" Poker Trophy. 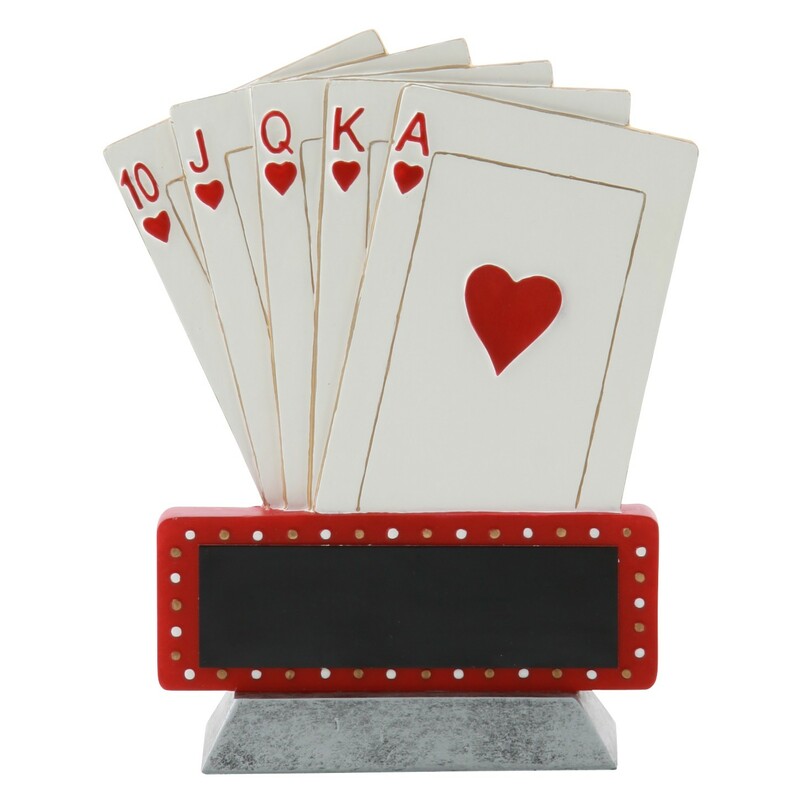 Made of solid resin, this trophy is pewter colored with gold accents. A high poker straight is featured. Includes 3 lines of engraving.